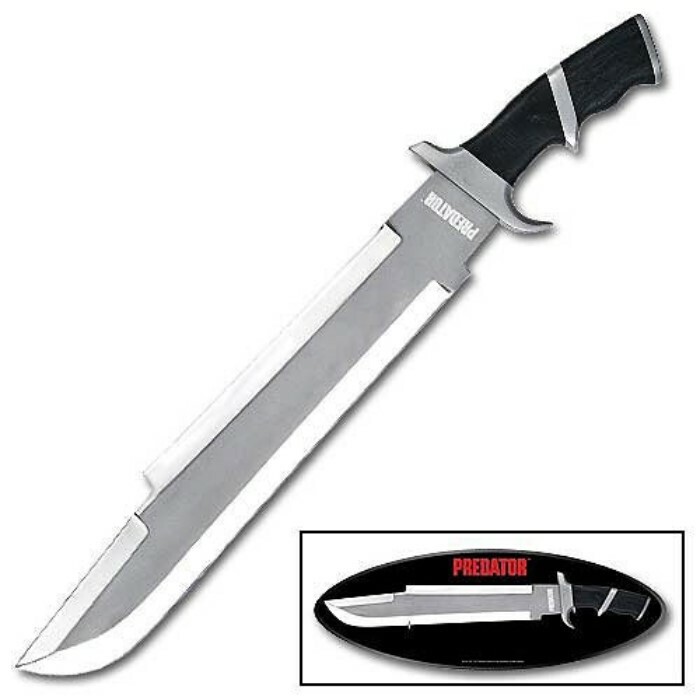 Predator Bowie Knife | BUDK.com - Knives & Swords At The Lowest Prices! You are sure to enjoy the realistic details of this movie collectible. The 5 3/4" handle is curved and grooved to easily fit in the palm of your hand. And you'll need all that comfort to wield the 14 3/4" steel 1/8" thick blade. That's 20 1/2" of magnificence. The Predator includes a black wooden plaque for wall mounting.